I added a hat to the Santas because mine did not look quite as cute without hair as the stitched version did. Initially I tried to add icing stitches along their heads, but that was a fail. The little hats saved the day! Whew! With closer inspection of the felt ornaments, I noticed that they were each topped with a bead, so I added a colored m&m candy to the top of each. I can't decide whether I like them with or without the candy. One thing I do know, next time I will bake them with a hole at the top and hang them as a garland:) How cute would that be!?! A heartfelt thanks to Hani, for her continual baking and decorating inspiration, and to Revoluzzza for her amazing, inspiring stitchery! I used my favorite gingerbread recipe, which is HERE on my blog, and royal icing which is also on my blog, HERE. I made a template for each cookie by printing a photo of the ornaments, tracing it onto paper and then cutting out a template using a file folder. 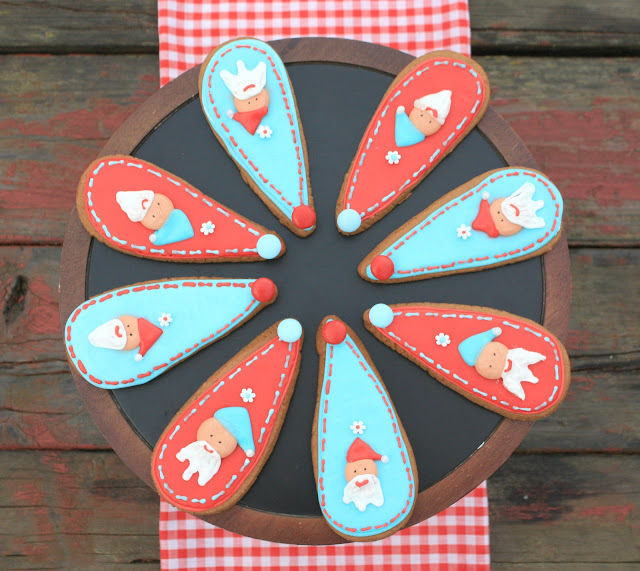 Each cookie is about 4.5-inches tall and is a little over 2-inches at the widest part. To tint the icing, I used AmeriColor Super Red, and for the blue, Wilton Sky Blue. The flower above each Santa is a snowflake sprinkle with a dot of icing in the middle, and the white ball at the end of each cap is a sugar pearl. I love my woodland Santa Cookies, and they really are yummy too! They are so cute Sue and such pretty colours. I wasn't sure using red and blue together would work for a cookie I'm about to make but now I'm going to go for it. They'd look fantastic hanging from the tree. they are super cute, Sue! and Merry Christmas! Oh my goodness, how cute are these? First of all, you're crazy talented at piping. I love the little Santa's and the stitching effect. And the colours too. They're so beautiful. Pinning. They are so cute. I love the color you chose, such sweet little treats. 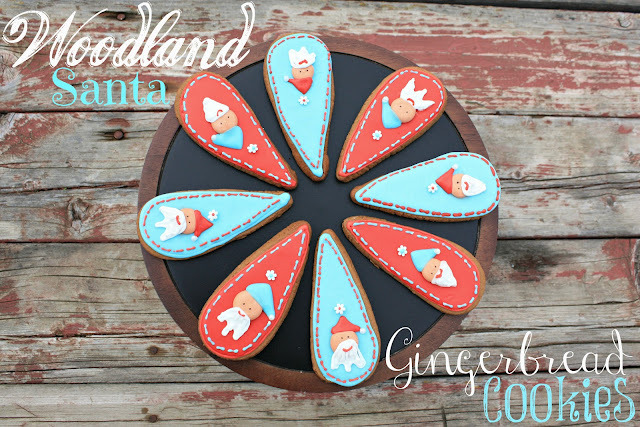 I'm sure these gingerbread cookies are delicious and they certainly are cuter than any I've ever seen! Very cute! Love the red and blue color combination! 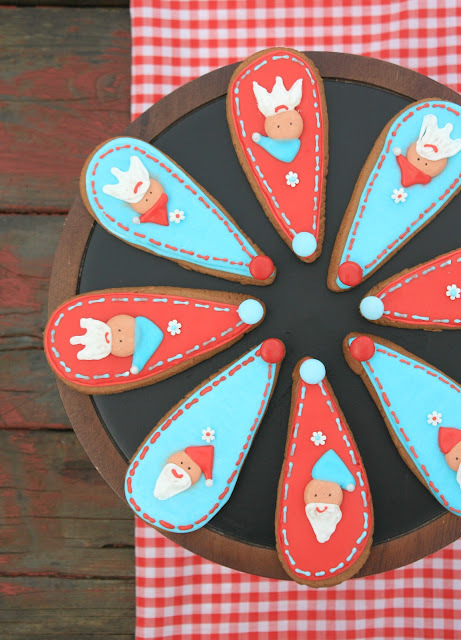 These cookies are such an adorable take on your typical holiday gingerbread cookies! Your artistry is so amazing, Sue!! Love the idea of making a garland out of the cookies. They're too cute to eat. How cute are these!?!? You did it again! wow Sue, you are AMAZING! 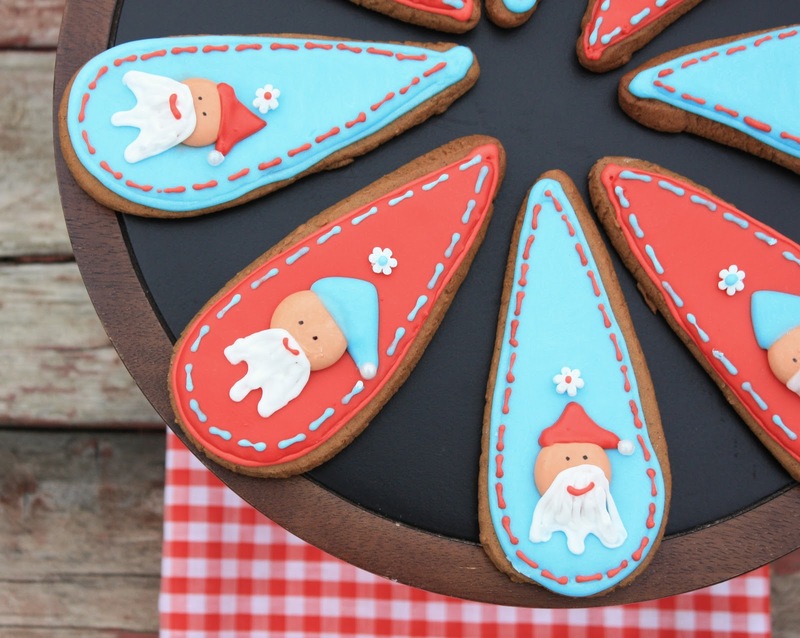 These cookies are really really adorable. These are so cute and I love the colors you chose. They just look edible!